The high demand for real estate in Toronto that only continues to grow has created a big side effect. Apartment buildings are popping up all over Toronto in order to meet the housing demand and also offer up affordable choices for people looking to live in this gorgeous city. There is a wide spectrum of apartment buildings in Toronto, and it can be hard to find the best one for you with so many choices. 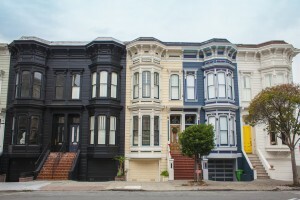 When you hear some of the horror stories people have about apartments such as bad management that wont ever fix anything, and of course the much dreaded outbreaks of bedbugs it puts a lot of pressure on you to find a good building! So it’s only normal you want a building that has good management because by extension that means that the building will be well taken care of. 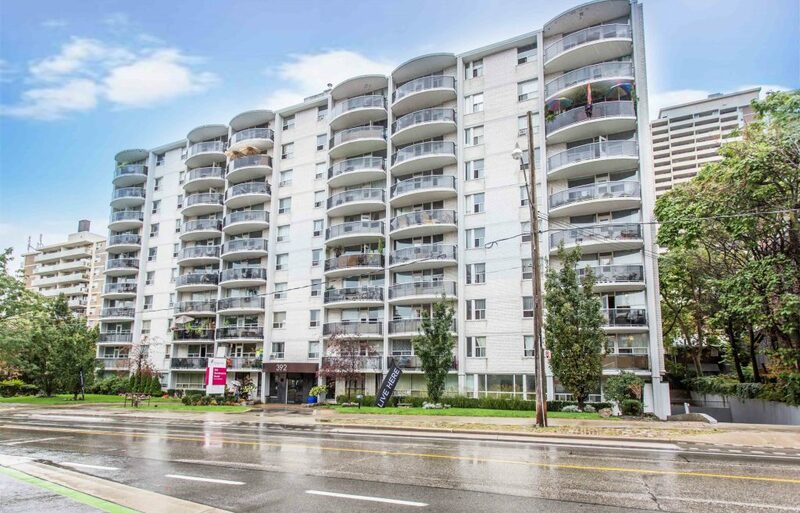 Having it in a good neighbourhood close to the TTC is another a good asset for an apartment. Location, location, location. Buildings don’t all offer the same amenities so it’s important to find one that compliments your lifestyle. Super active? A building with a pool and gym would probably be great for you. Do you enjoy entertaining often? Perhaps you would prefer a building that has a good common entertainment area. And finally, while the building itself does not need to be new but renovated recently is always a winner. 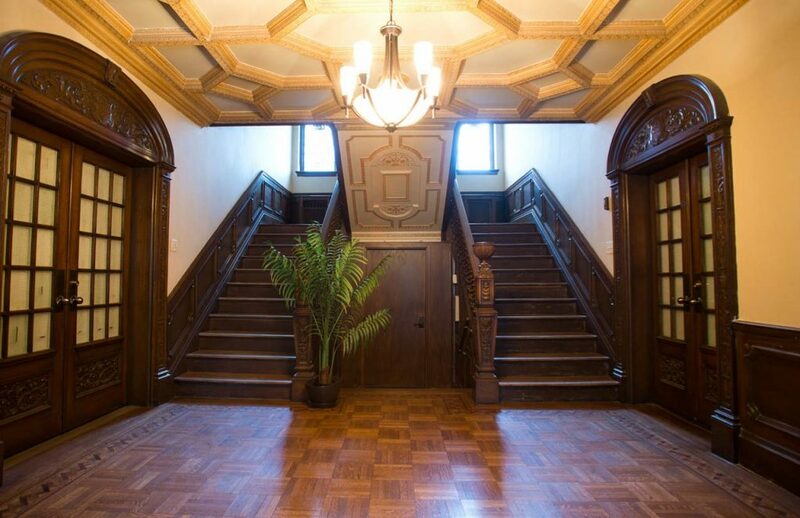 Looking at all these different factors that contribute to making a great apartment building that most people would want to live in, we have created a list of 10 of the best apartment buildings in Toronto for 2018. Set in the heart of vibrant Church-Wellesley, with a 99 walk score. Great restaurants, bars, shops, and very close to the main subway line. New building. Only one year old. Amenities: Games room, media room, outdoor terrace, party room, resident’s gardening center, fitness room and bicycle room. 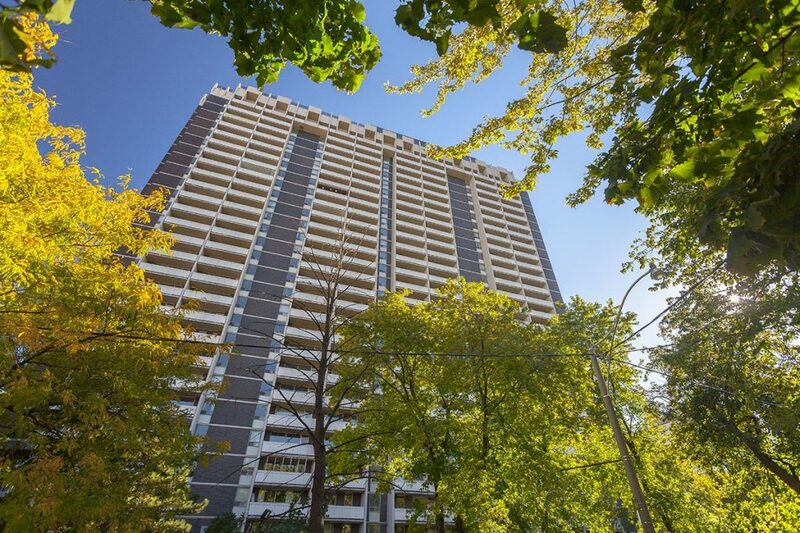 Located in one of the busiest and most sought after neighbourhoods in Toronto, Yonge and Eglinton. Eglinton subway is a short walk away, as are groceries, restaurants, bars, and a mall. Newly renovated – click here to see the building. Condo style living in an apartment building. Amenities: BBQ Patio for entertaining, gym, laundry, parking. The amazing view from building is hard to beat. Located in one of Toronto’s hippest neighbourhoods, Liberty Village. Newly renovated with all stainless steel appliances – click here to see! The apartments have a dishwasher, an oft lacking feature in most apartments. Gorgeous views of the city. Amenities include: Gym and laundry. 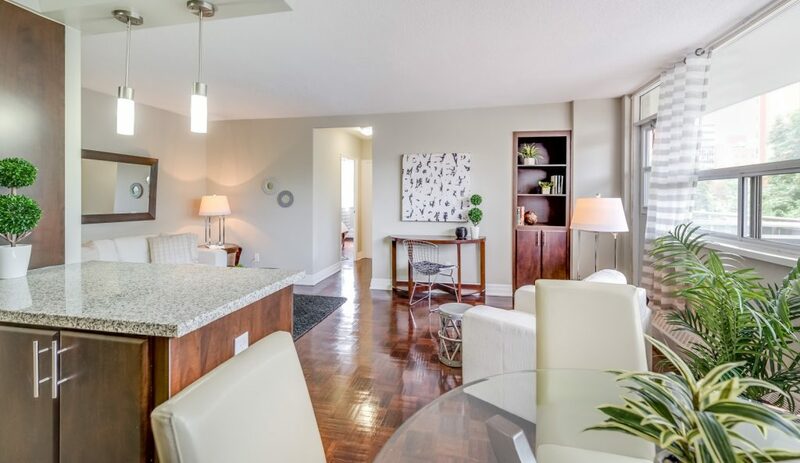 Located near Church & Wellesley and Cabbagetown! Just a short walk to lots of grocery options, TTC, Eatons center, Allan Gardens, and load of the best bars and restaurants in the city. Stainless steel appliances – including dishwasher! Spacious 1 bedroom apartments available – click to see! Amazing location. Walking distance to all kind of stuff incuding schools, theatres, food, entertainment, TTC, and shopping. Amazing views of Lake Ontario and downtown Toronto. Amenities: Rooftop patio which is great for hosting! Large indoor swimming pool with a sauna on the rooftop. Gym, underground parking, and the renovated suites even come with AC! Click here to see the building. One of the coolest buildings in one of the coolest neighbourhoods in Toronto. 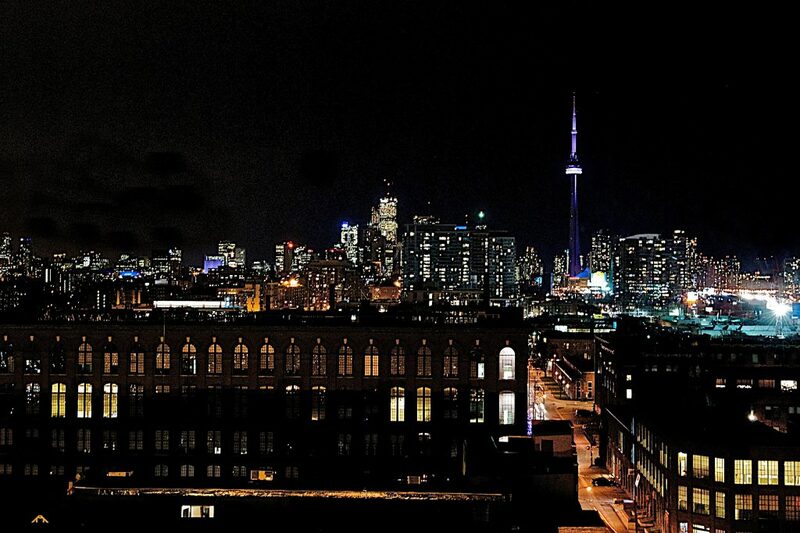 Steps away from some of the best night life the city has to offer. A bit more expensive than the norm, but worth it! Amenities: Running track, gym, rooftop hot tub, BBQ, garden area, walk in closets, stainless steel bar in the kitchen. Washer & dryer en suite. New stainless steel kitchen appliances (including dish washer) as well as new stainless bathroom fixtures. Utilities including AC included in the rent price. Click here to see the apartment! This building that houses big, sunny apartments is in a prime location. 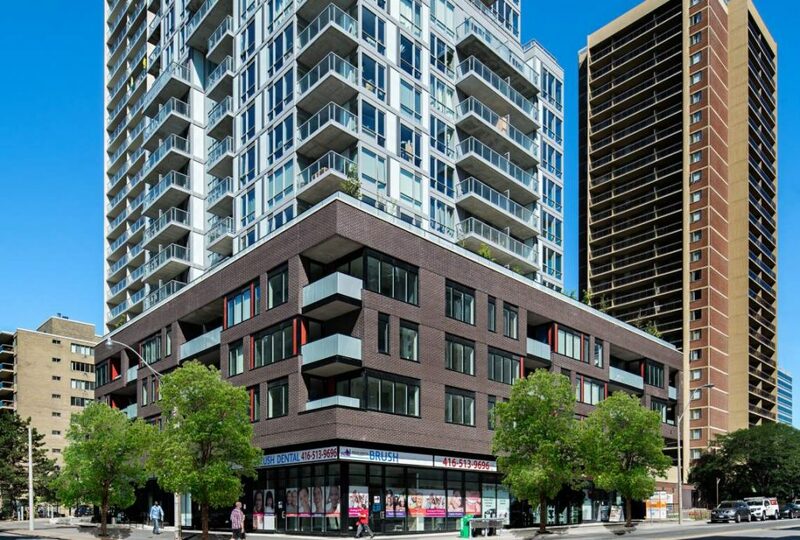 In the heart of downtown Toronto, it’s only 1 minute walk from St. Patrick subway station. Amenities: Utilities included, en suite washer and dryer, pet friendly, party room, squash courts, gym, billiards table, indoor gym with sauna, and a roof top garden with a BBQ. Click here to see an apartment! Don’t let the fact that this building is not in downtown or midtown Toronto scare you off. It is still close to the TTC, lots of schools, shopping, and parks. This is a perfect apartment building for families. Click here to see! The building offers 1 and 2 level suites. 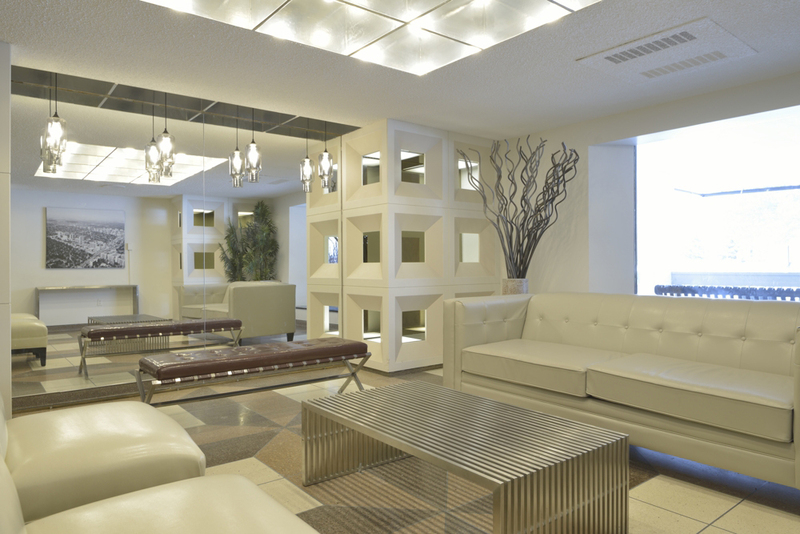 The beautiful lobby of 2527 Lakeshore Blvd West. This is the perfect building for people who want to be close to downtown, but no in the heart of it. Perfect for nature lovers! 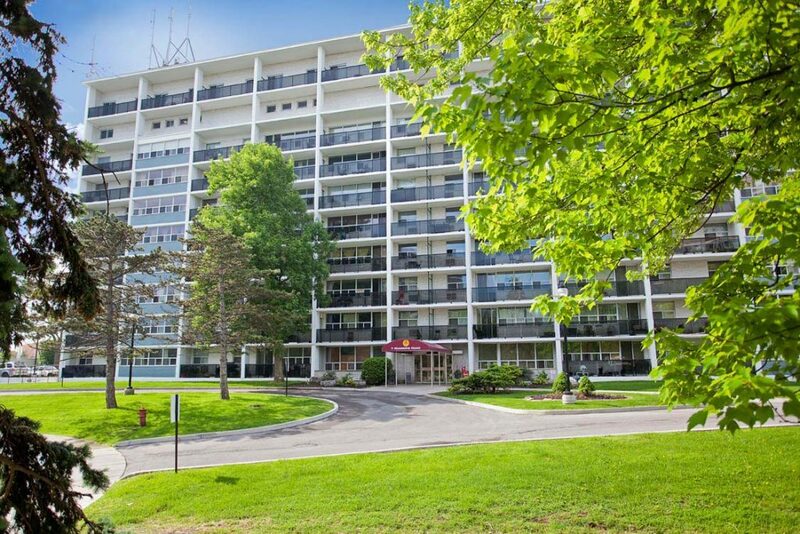 Located in the growing Lake Shore community, it is close to transit (express bus to downtown and there is a streetcar stop right infant of the building), shopping, and right on the Lake Ontario shore line. Click here to check it out! Residents have access to a private park on the lake. 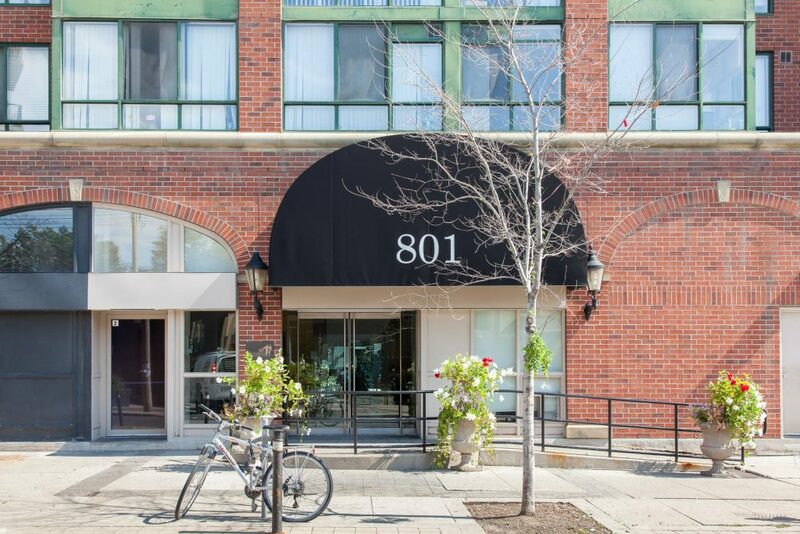 Located perfectly in the middle of midtown, this building is steps away Davisville subway station. You are minutes away from downtown and uptown! The best of both worlds. You can walk to do all your errands as the area offers lots of shopping, entertainment, different services, and great restaurants. Amenities: Tennis court. 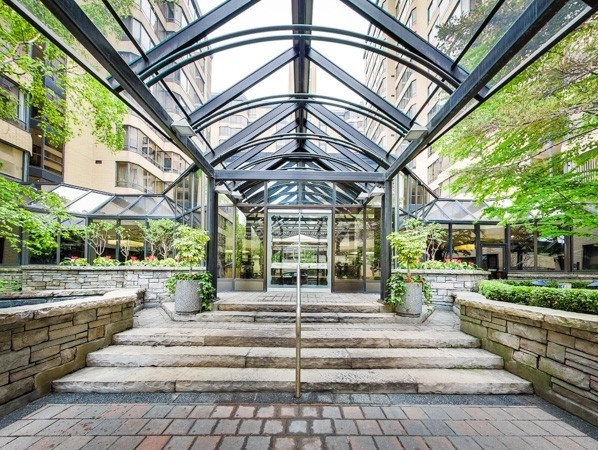 It also shares amenities with its adjacent building, 111 Davisville. Residents have access to 111 Davisville’s indoor pool and roof top patio. Check the building out here! 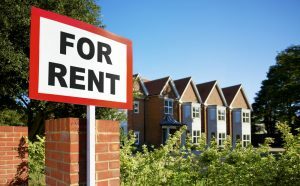 If you rented your whole life, how much would you spend?